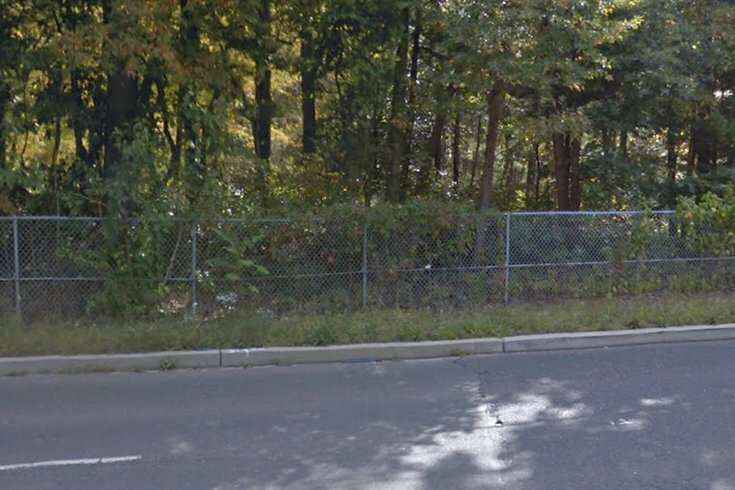 The vacant property behind this fence along Lakeview Drive South in Gibbsboro was the former dump site used by Sherwin-Williams. It is bordered to the north by a shopping plaza and residential properties and to the east by Clement Lake, and by residential properties on its southern border. A federal class action lawsuit alleges a paint manufacturer contaminated drinking water and caused a cancer cluster in a South Jersey town. Sherwin-Williams owned a paint manufacturing facility from 1930 to 1978 in Gibbsboro, a Camden County town with a population of around 2,250. The suit alleges the plant contaminated soil and groundwater with carcinogens. The suit alleges that as part of its operations, Sherwin-Williams utilized and generated lead, arsenic, pentachlorophenol, benzene, cadmium, and numerous other known carcinogens. The suit alleges contamination has migrated to surrounding residences and businesses. It asks a federal court to hold the manufacturer accountable for the contamination that is allegedly causing residents, including children, to develop cancer and other serious medical conditions. "To date, there has never been a cancer assessment, community or otherwise for the residents of Gibbsboro," the suit says. "However, upon information and belief, cancer continues to threaten the lives of so many residents and others spending substantial periods of time in the area." Among the lead plaintiffs are two couples from the town whose daughters were diagnosed with cancer as well as others diagnosed with other diseases. 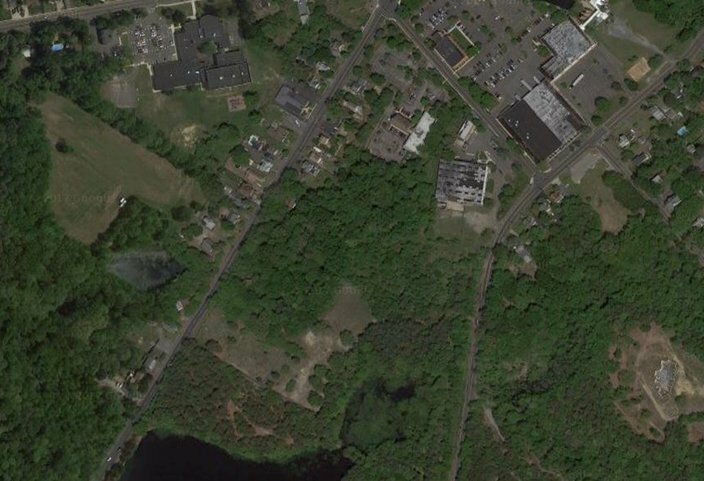 "This contamination has existed far too long and a company of Sherwin-Williams size should have had the corporate responsibility to protect the residents and visitors of Gibbsboro,” said Haddonfield lawyer Craig Mitnick. The aerial view from Google Maps shows the area, at center, where Sherwin Williams operated a manufacturing facility at Hilliard's Creek. The company also operated dump and burn sites to the east and southeast of this site. The former plant is a federal Superfund site. A spokesman for Sherwin-Williams said Wednesday morning that the Ohio-based company had just received the lawsuit and has no comment at this time.